EAST DUNDEE, Ill. (WLS) -- Several teens burglarized a gas station in west suburban East Dundee, police said. 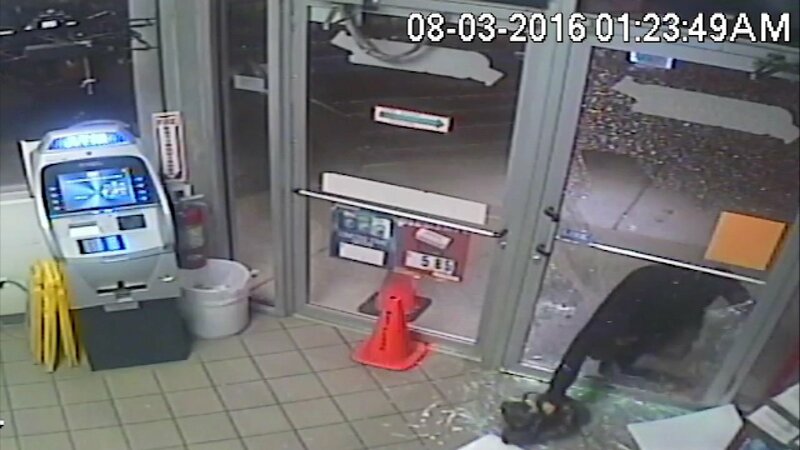 Surveillance video shows the suspects got into the Amstar gas station in the 300-block of Main Street by shattering the glass of the front door around 1 a.m. Authorities said they got away with liquor and cigarettes. Police said the gas station's burglary alarm didn't go off until officers arrived. Less than 10 minutes before, police said they tried to break into another gas station. But when they saw an employee was inside, they took off.